The FBI’s Seattle field office lies in proximity to Boeing’s 737 manufacturing plant in Renton, as well as nearby offices of Boeing and Federal Aviation Administration (FAA) officials involved in the certification of the plane. It has widened since then, The Associated Press reported this week, with the grand jury issuing a subpoena on March 11 for information from someone involved in the plane’s development, one day after the crash of an Ethiopian Airlines 737 MAX 8 near Addis Ababa that killed 157 people. The FBI’s support role was described by people on condition of anonymity because of the confidential nature of the investigation. Representatives of the Justice Department, the FBI and Transportation Department declined to comment, saying they could neither confirm nor deny an investigation. Boeing declined to comment. A Seattle Times story on Sunday detailed how FAA managers pushed its engineers to delegate more of the certification process to Boeing itself. The Times story also detailed flaws in an original safety analysis that Boeing delivered to the FAA. Two days later, Transportation Secretary Elaine Chao took the unusual step of asking the department’s inspector general to conduct a formal audit of the certification process for the MAX. The audit is an administrative action, separate from the criminal investigation. Criminal investigations into the U.S. aviation industry, including federal oversight of airplane manufacturing and airline operations, are rare — in part because of the longstanding belief that a civil-enforcement system better promotes candid reporting of concerns without fear of criminal repercussions. Federal prosecutors in Florida filed a 24-count indictment against SabreTech, an airline maintenance contractor, and its workers over alleged violations in the handling of oxygen containers blamed for the crash. SabreTech was found guilty on nine counts but was acquitted on conspiracy charges, according to news reports. An appeals court later overturned all but one of the counts, the improper training of employees. In 2000, the National Transportation Safety Board warned that its findings on the cause of the 1999 deadly pipeline explosion in Bellingham could be indefinitely delayed because of a separate criminal investigation that had silenced key witnesses. 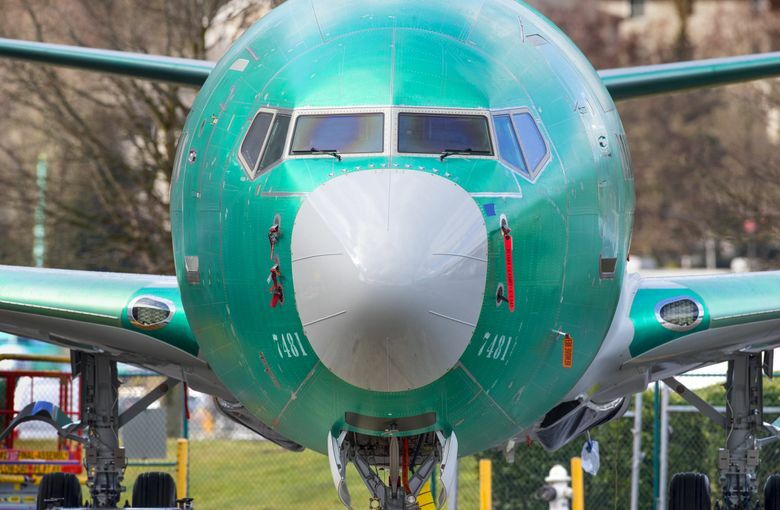 Eric Weiss, an NTSB spokesman, said he couldn’t comment on whether any individuals have declined to provide information on the Boeing 737 MAX crashes in light of the criminal investigation.